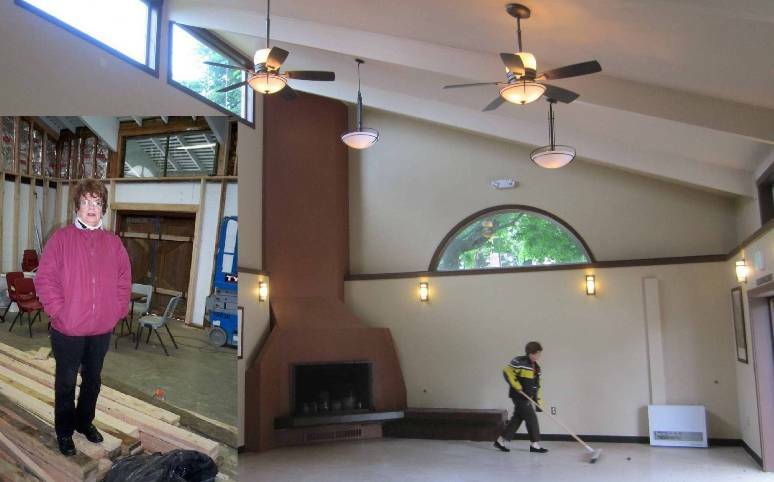 The Friends of Pinehurst Shelterhouse asked us to be fiscal sponsor for their project to fully remodel a boarded-up Parks’ structure in a well-used park to make it a welcoming community space and teen center. We were especially happy to help since Lorena has been leading neighborhood projects for at least 12 years and helped Jack conceive of Fremont Peak Park, the inspiration for Urban Sparks. It was our opportunity to give back. Lorena, Garth and Ron powered through this very tricky project. For their Department of Neighborhoods Large Project Matching Fund Grant, they had to generate a detailed budget for a project that couldn’t go to bid until they had grants. To guess at the costs of things and then bring the project in on budget 3 years later required an enormous amount of work. In the end, we lost the glass front doors because the supplier went bankrupt after the doors were ordered and paid for. Parks and the Friends would be very appreciative of anyone who can help with the finishing touch of replacing old dark wood with sunny glass.